Our first couple of months of school have been exciting and busy! We have been recognized for excellence in several ways, including for bold performance and outstanding attendance. Our successes are a result of our focus on character, excellence, and service. We continue to build on our progress, with a new model for professional development that actively involves our teachers in their learning. We have also created a new structure for reviewing student data, so our campuses are able to ensure their lessons address student needs. Finally, we have adopted new curricula for fourth and fifth-grade English Language Arts and middle school science this year to ensure all of our students are engaging in rigorous tasks. The Center City Shaw Campus was recognized as a “bold performance” school by Democrats for Education Reform and EmpowerK12. This analysis recognized schools that out-performed their expected performance. The analysis was featured in an article in Greater Greater Washington on school quality. Visitors from the U.S. Department of Education’s Office of English Language Acquisition came to the Petworth Campus to learn about instruction for English Learners. 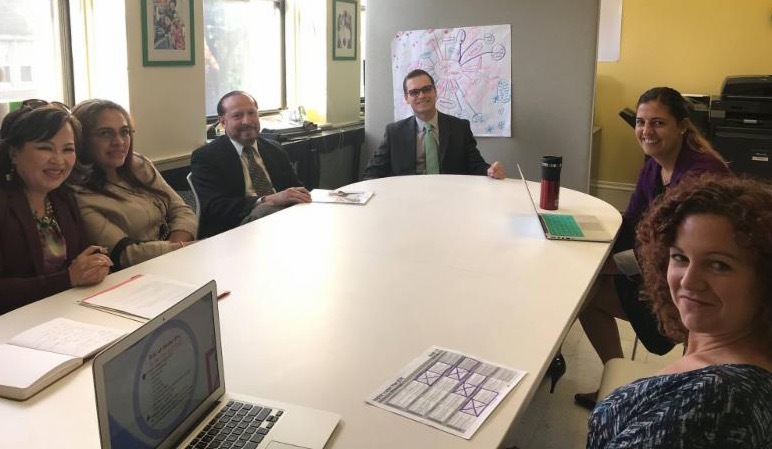 They met with our language access coordinator, Hannah Groff, and principal, Nazo Burgy to learn about programming at the Petworth Campus and across the District. They also visited classrooms to observe co-teaching and other supports for English Learners. This year, we have modified the structure of our professional development to make it more collaborative, engaging and relevant to our teachers. We have launched district-wide professional learning communities (PLCs) focused on grade bands and content areas.The PLCs meet during district-wide professional development days when the whole district comes together to learn as a community. They also meet once each month virtually. During PLCs, campus and central office leaders facilitate teachers working together to answer questions about how students are learning and how to respond when they aren’t. They also discuss how to best teach content. For example, in the middle school English Language Arts PLC, the primary focus is writing instruction. 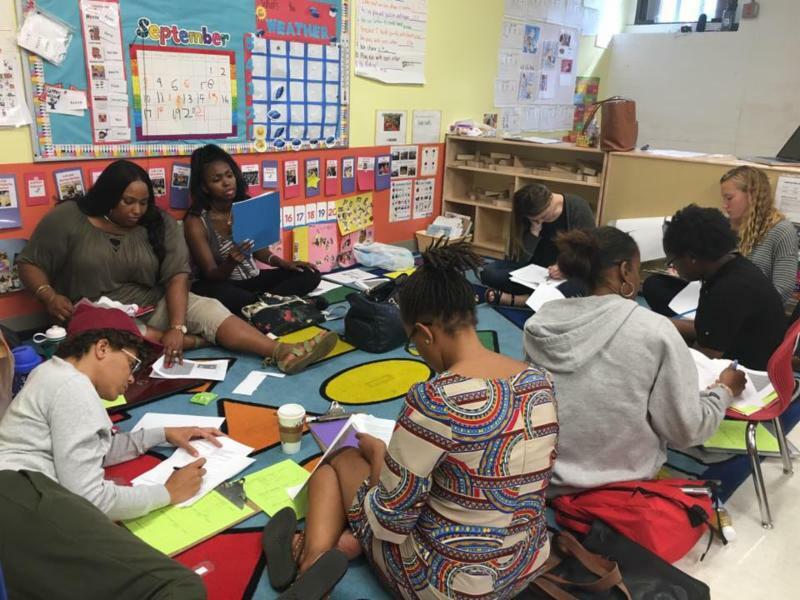 Middle school teachers are working with the DC Area Writing Project through a partnership with Howard University to strengthen writing instruction. Our campuses have also instituted a new structure for data meetings. Teaching teams choose a high leverage set of data to review for each data meeting. They meet bi-weekly to review student assessments and classwork in conjunction with the relevant standards and exemplars for student work. They then analyze student misconceptions and develop plans for re-teaching. 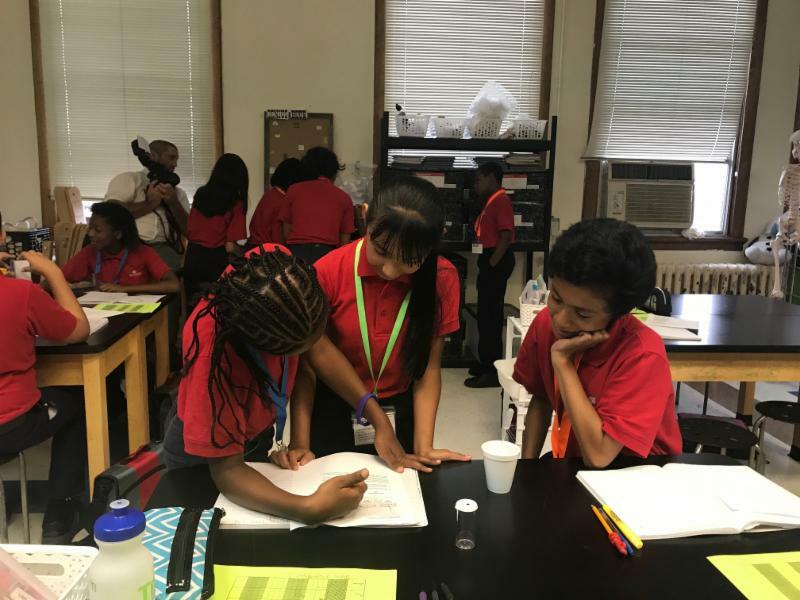 This year, we adopted the Full Option Science System (FOSS) for middle school science to better align science instruction to the Next Generation Science Standards. FOSS uses a hands-on, inquiry based approach in which students learn science through investigation. This is a key shift in how science has traditionally been taught. By investigating prior to reading or writing about a topic, students are then able to use background knowledge to access more complex, scientific texts. The Center for Inspired Teaching is supporting our science teachers in implementing this inquiry-based approach to science instruction. Four of our teachers participated in the Center for Inspired Teaching Summer Institute and all of our science teachers are receiving monthly coaching from their science content experts. 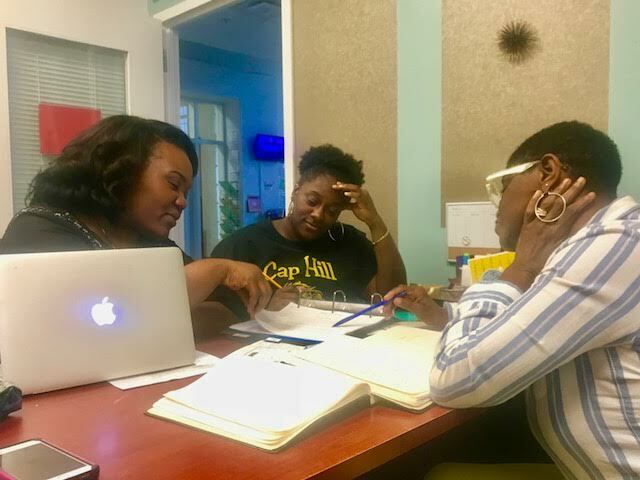 We have adopted Wit and Wisdom (by Great Minds) for our 4th and 5th-grade English Language Arts curriculum in order to better integrate writing and speaking skills into our English Language Arts block for those grade levels. Wit and Wisdom integrates foundational writing and language skills into the study of complex texts and novels. The curriculum is designed to build students’ knowledge in a range of content areas through a variety of genres of text and engages students in building their understanding of the world through inquiry, Socratic Seminars, and extended writing. The transition to Wit and Wisdom allows our 4th and 5th-grade students to build on the work they have done in Core Knowledge Language Arts by Amplify in grades K-3. Middle school students at Congress Heights are serving as mentors for younger students. They had to apply and interview for their positions. As mentors, they provide support to their mentees in reading, mathematics, or behavior. They also help supervise events for the younger students, such as the fall dance and they will create a student government association. This program develops the leadership skills of our middle school students while supporting the school community. Several of our campuses have done fundraisers to raise money for hurricane victims. 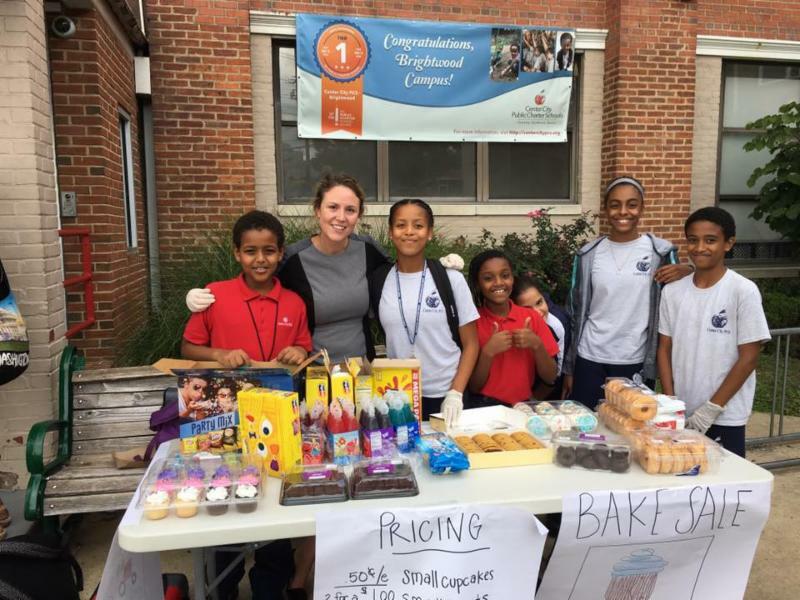 The Brightwood Campus raised money for a KIPP charter school in Houston. They held two hurricane relief bake sales and sold pizza at lunch during the week of 9/11. 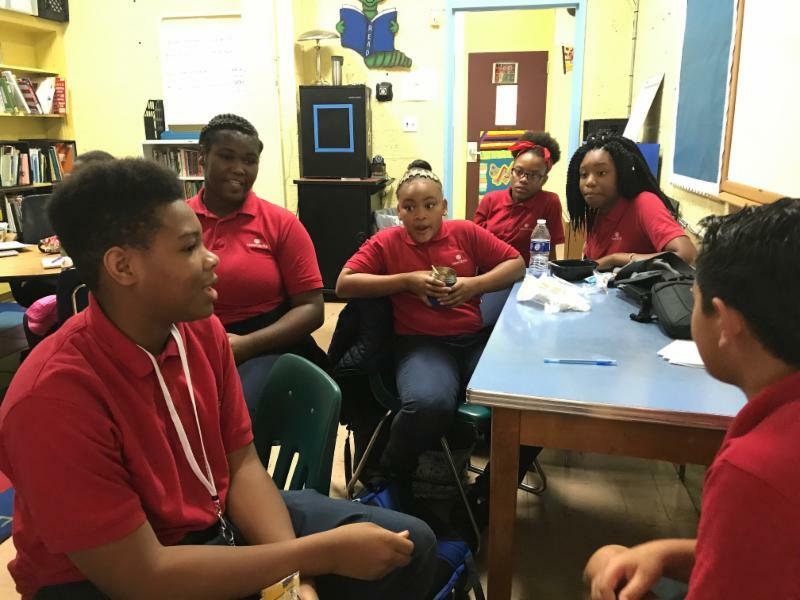 At the Petworth Campus, students were able to purchase “dress down passes” for two dollars that allowed them to opt out of their uniforms for the day to benefit victims of Hurricane Harvey. Staff also sold pizza during lunch time to raise money for the hurricane victims of Puerto Rico. 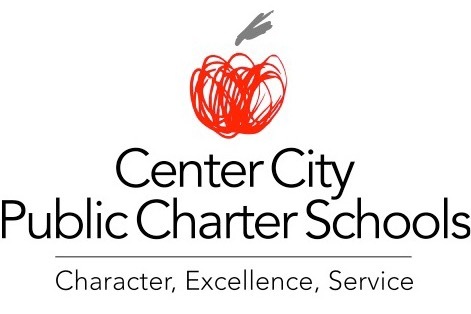 The Center City Brightwood Campus was recognized by the Public Charter School Board for outstanding attendance. 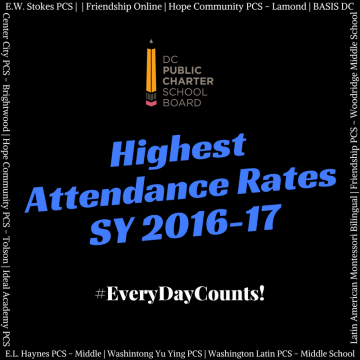 The Brightwood Campus had the second highest attendance rate in the District, after an online learning school. 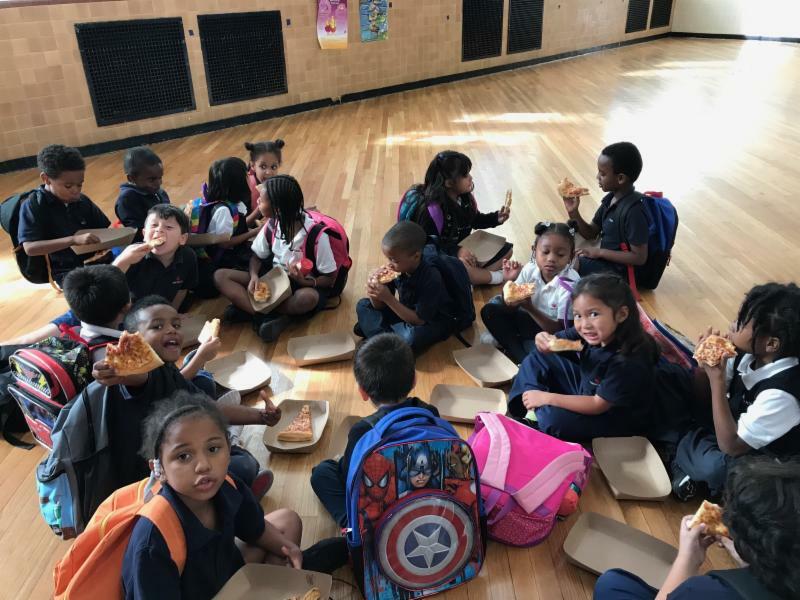 Center City Public Charter Schools expand extra curricular and and enrichment offerings thanks to generous contributions from our supporters.